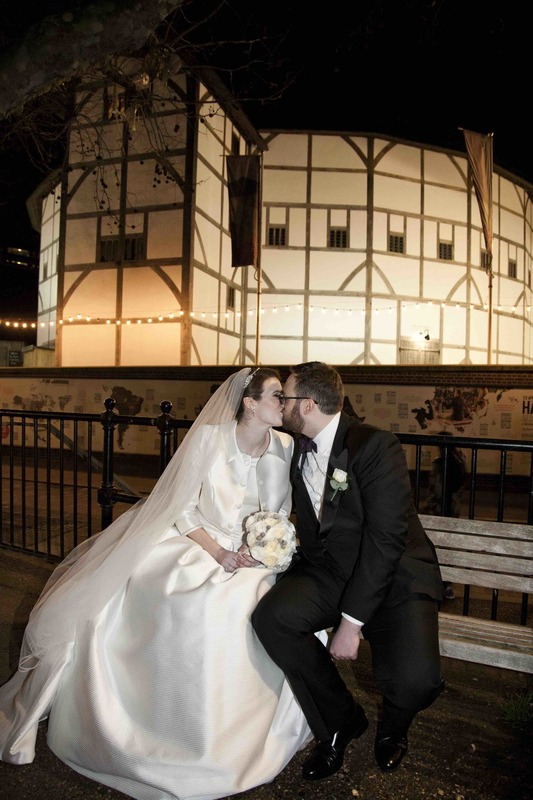 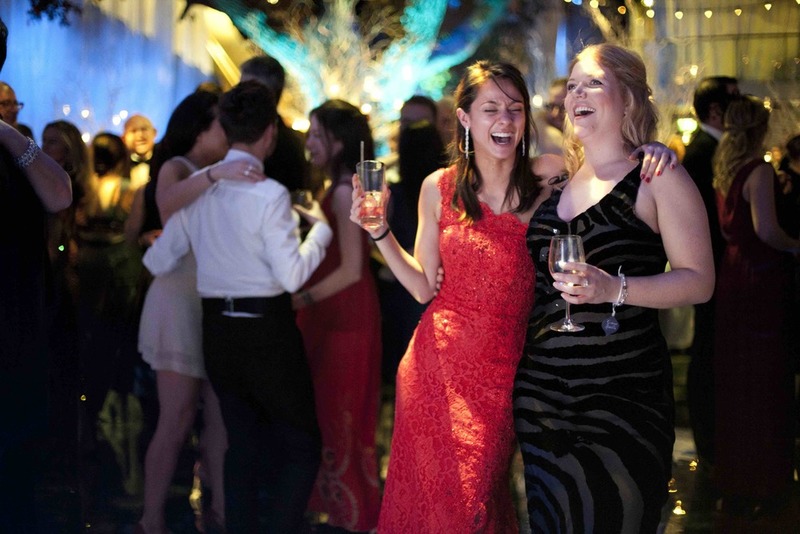 The Underglobe at Shakespeare's Globe Theatre was the chosen location for this Bride and Groom who wanted a magical Winter Wonderland wedding, which also incorporated their love of films. 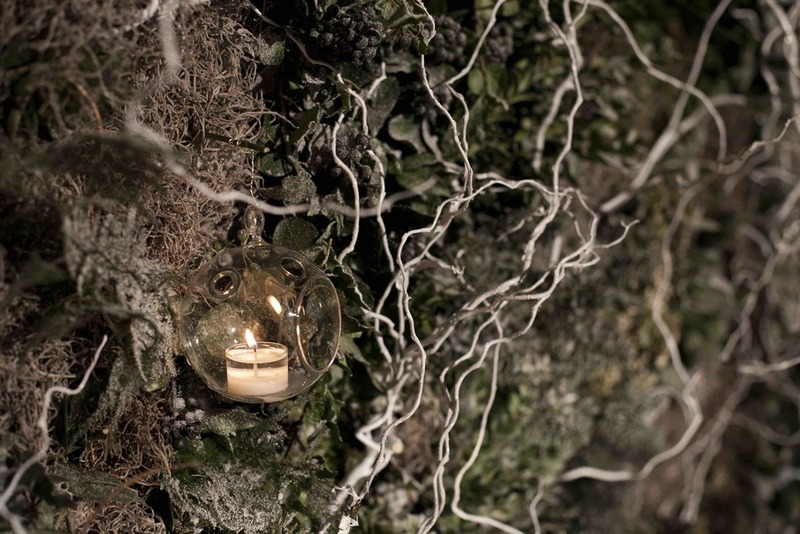 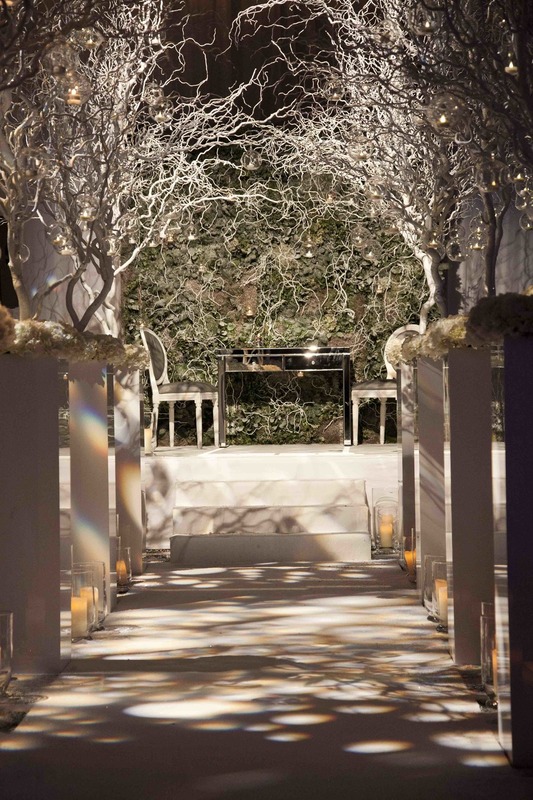 The ceremony featured an incredible foliage wall backdrop and a romantic white aisle lined with candles and wintery trees holding baubles of tealights. 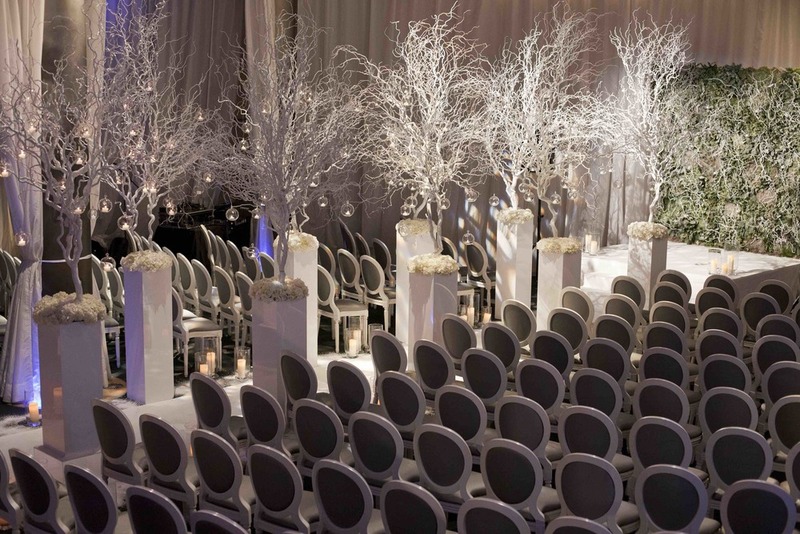 After the ceremony, guests walked through a Narnia wardrobe lined with faux fur coats to the drinks reception area. 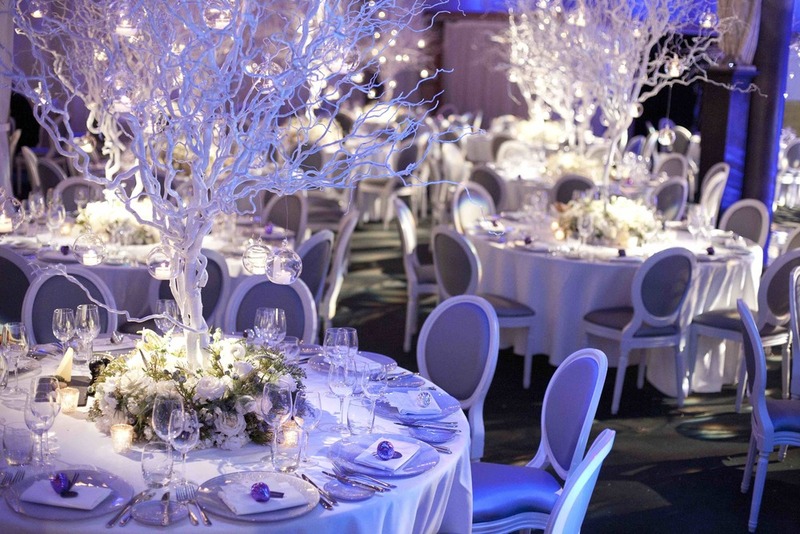 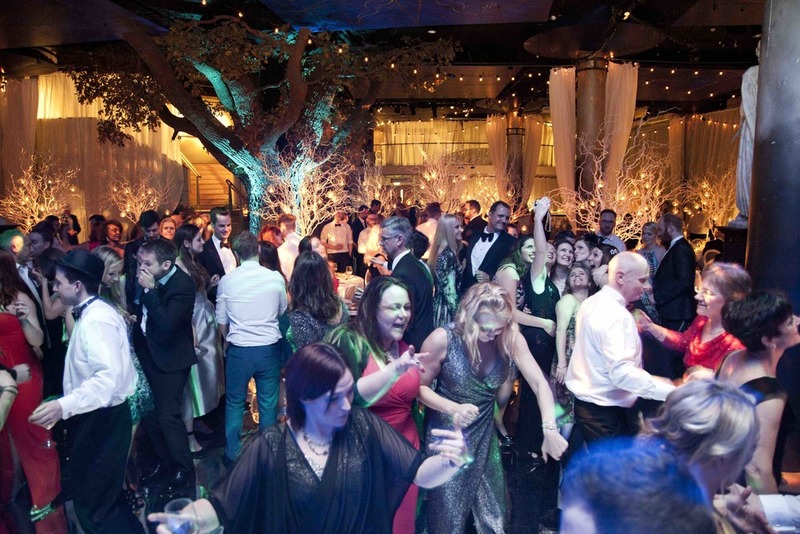 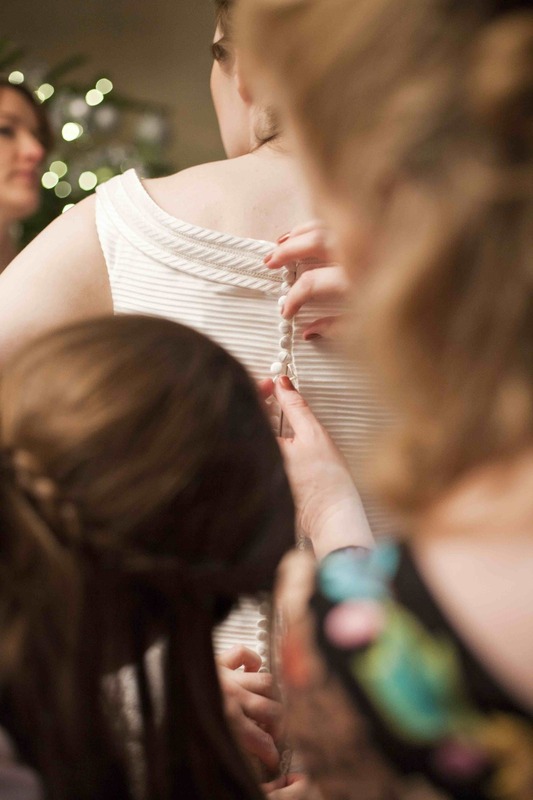 The iconic wardrobe introduced the movie theme and guests found their personalised bauble from white snowy trees in "Narnia" providing their assigned film-themed dinner table. 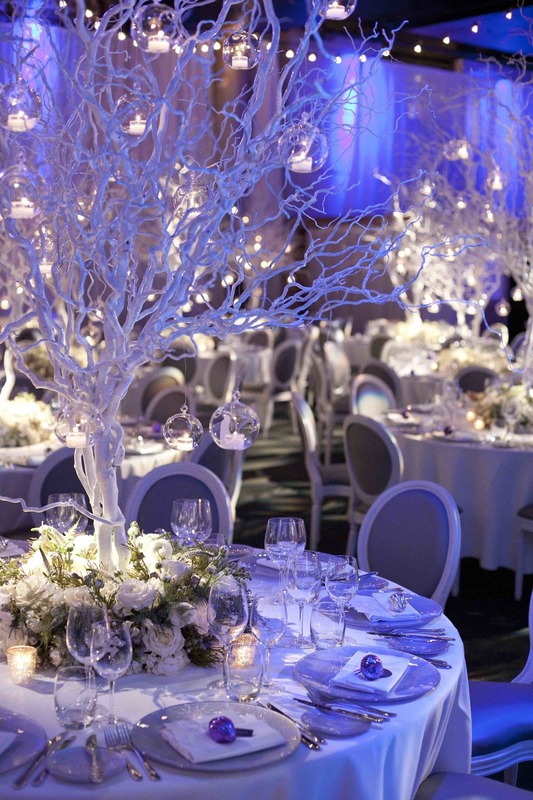 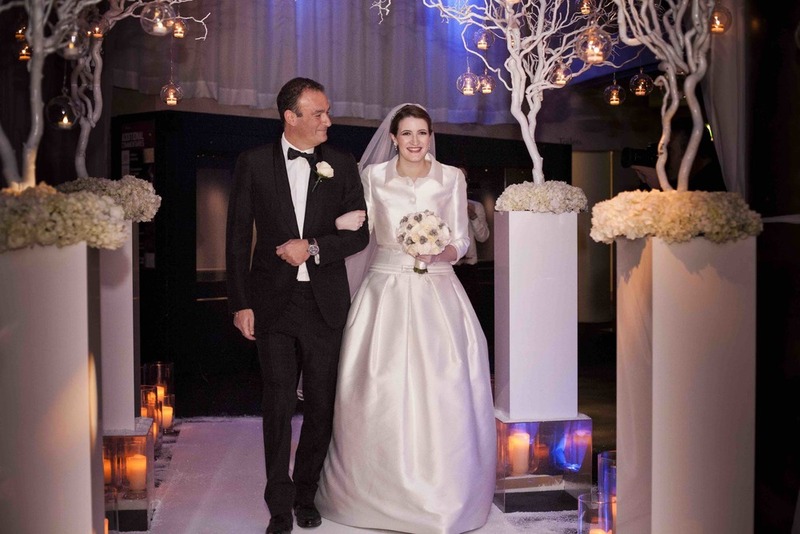 Guests were treated to a two-course dinner in a stylish, white, wintery setting of romantic white floral decor and trees filled with hanging tealights. 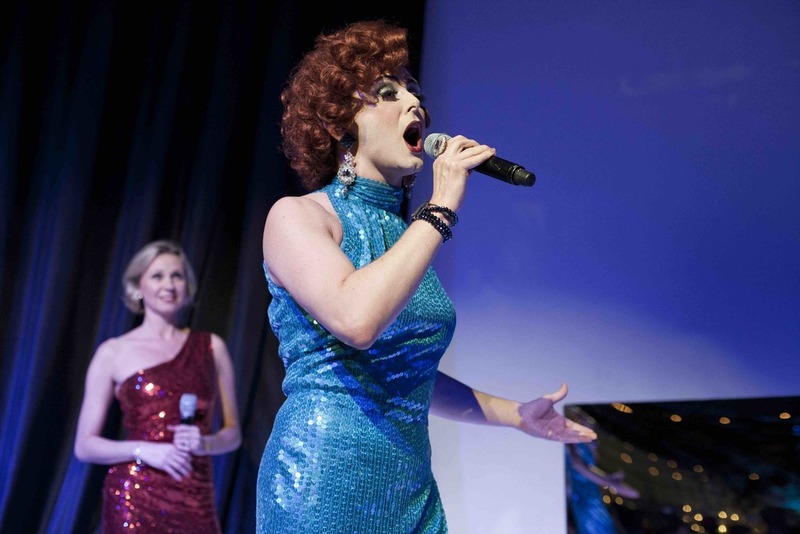 After dinner, guests were entertained by a surprise performance from a tenor, a diva and a drag queen! 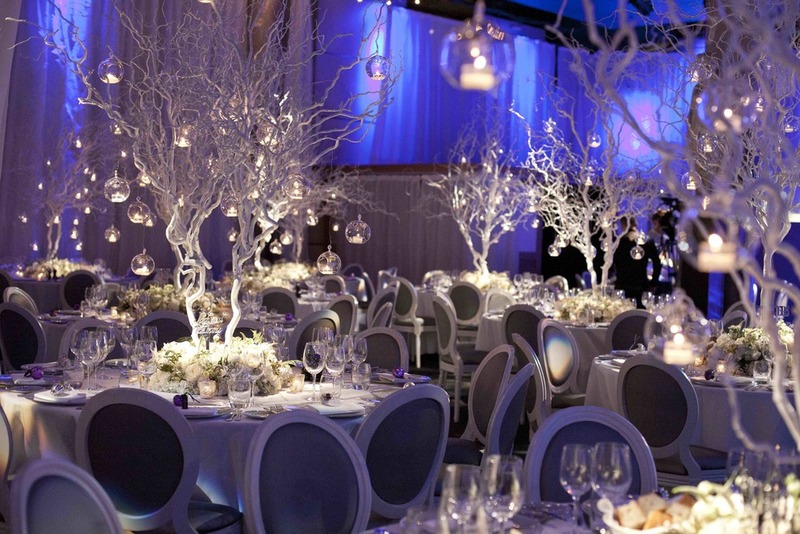 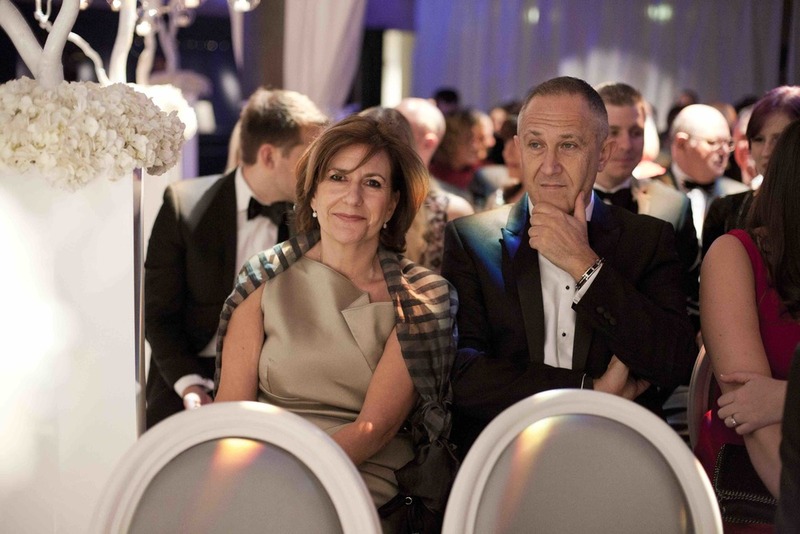 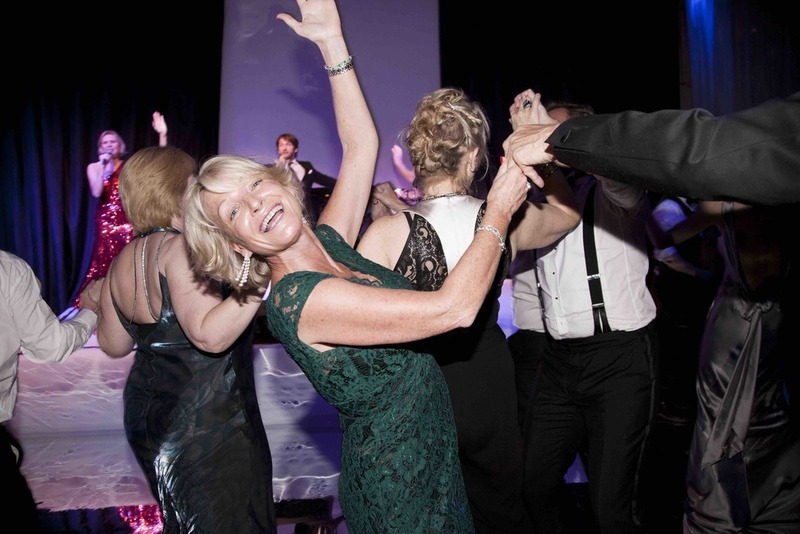 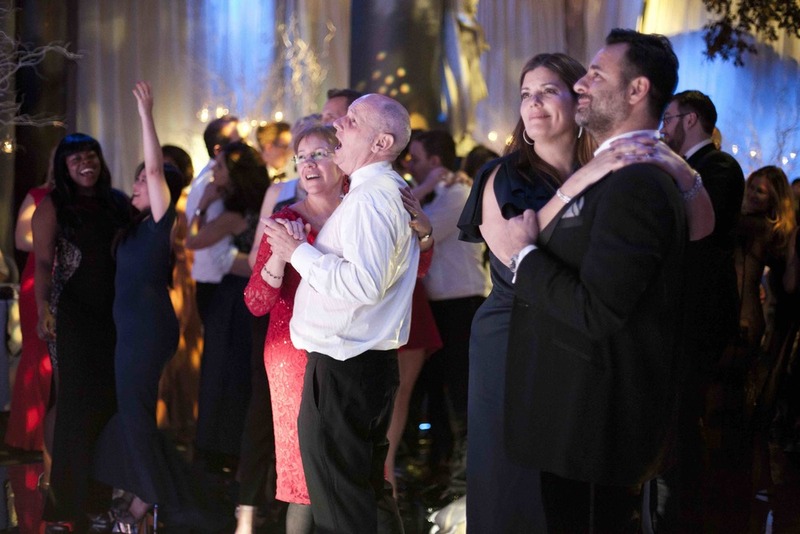 This encouraged everyone up out of their seats and onto the glistening silver mirrored dance floor. 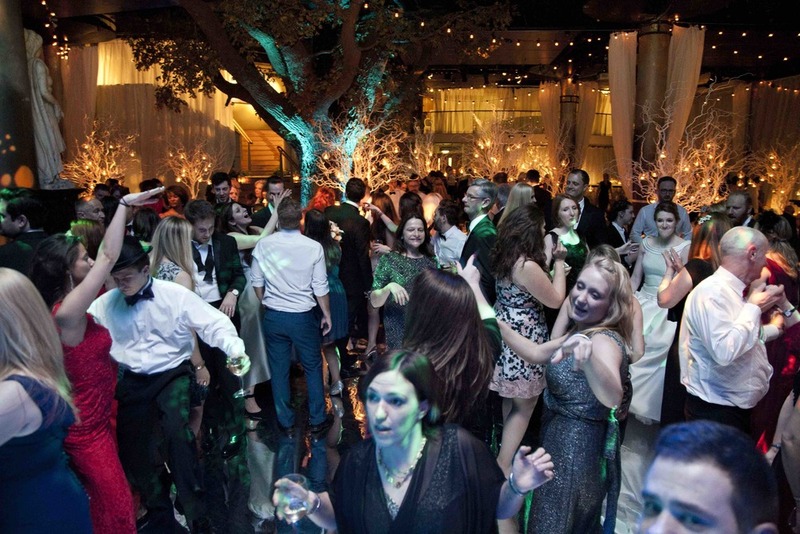 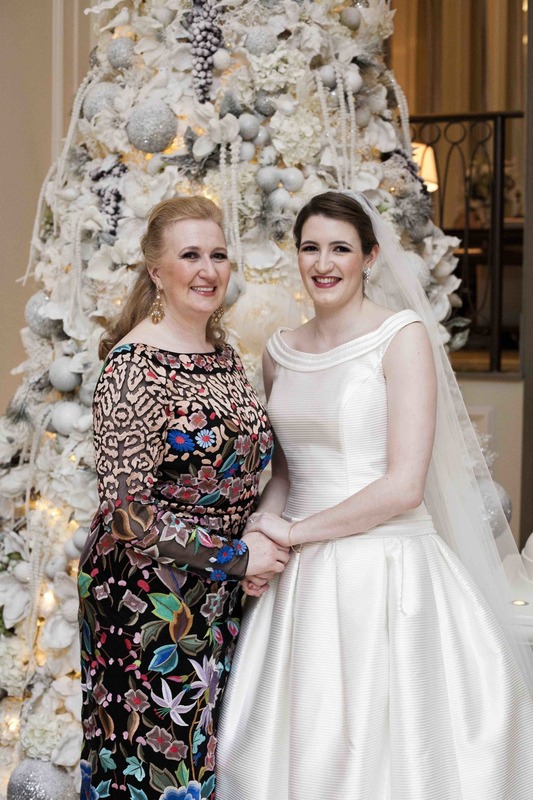 During the first dance, the newlyweds had a gentle and romantic snow flurry. 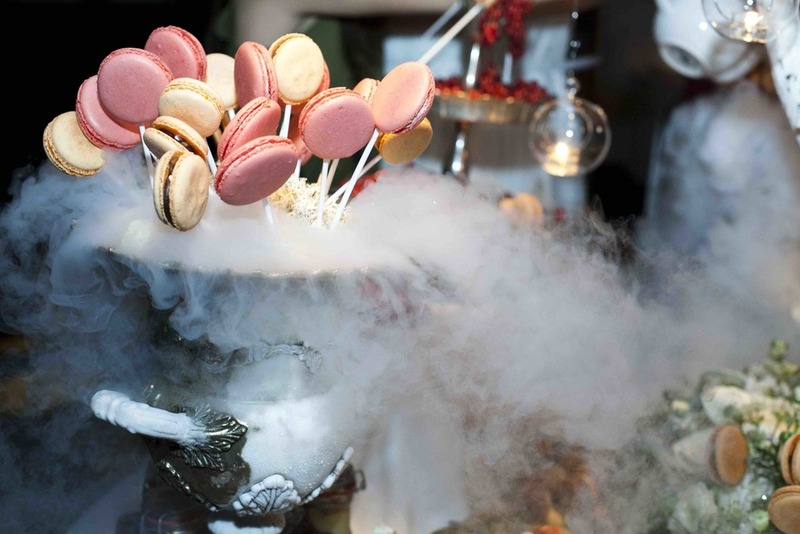 Dry ice was poured over the dessert station packed to the brim with festive gingerbread candy floss, toffee apple doughnuts, tangerine lollypops, caramel popcorn, clementines and figs.